I hope you all had a Merry Christmas! Our Christmas was fabulous, and as an accidental annual tradition that started 4 years ago, here’s our 2013 family Christmas ornament. We make these for those closest to us every year, starting with 2010 when I made ornaments as gift tags. I had to save this one since it was a surprise! 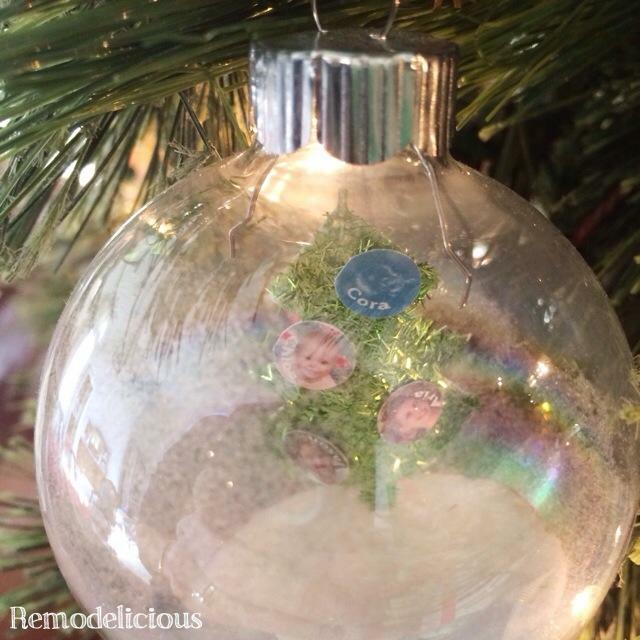 Here’s our 2013 ornament, a Pinterest project. Chloe’s hand print (minus thumb) is on one side and Cora’s is on the other of basic, navy blue ornaments. I filled in the bottom with white paint, then added faces & hats with paint pen. These are my favorite yet! For 2012, we did cookie cutter ornaments with family fingerprints as ornaments. We first tried a DIY home-made dough, but they weren’t exactly Pinterest-perfect (they would have easily made any fail blog) so we re-did the project with hobby store clay that you make in the oven. We went with white so the ornament finger prints would pop. The name and year are stamped in with a set of number and letter stamps (which have come in handy so many times!). 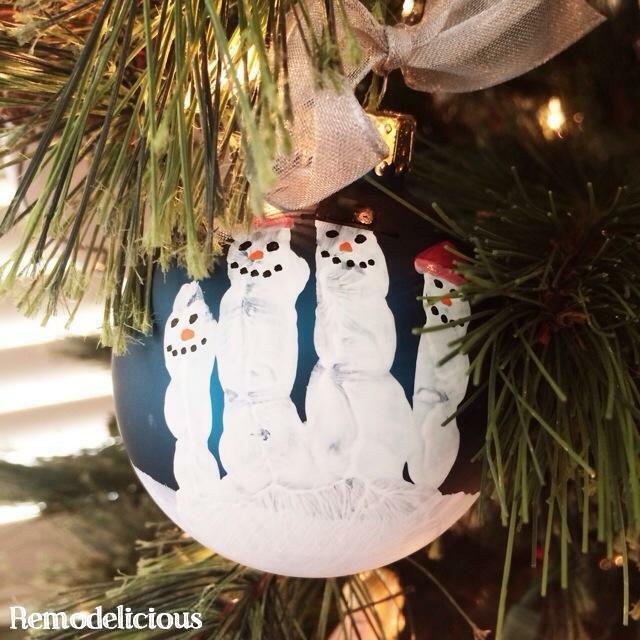 The ornaments are filled in purple, pink, blue, and orange for each of our favorite colors in paint pen and strung together with a paint pen-drawn string. Some didn’t stay white in the oven (including this one) and I spray-painted them white before adding the other details. In 2011, we were expecting Cora, and I still wanted to include her. This one doesn’t photograph well, but there is a Christmas tree cut out of paper and covered in green glitter hanging inside by finishing line. On the tree are ornaments for each of us with a photo (or ultrasound) and our name. The bottom is filled with a but of sparkly white glitter. 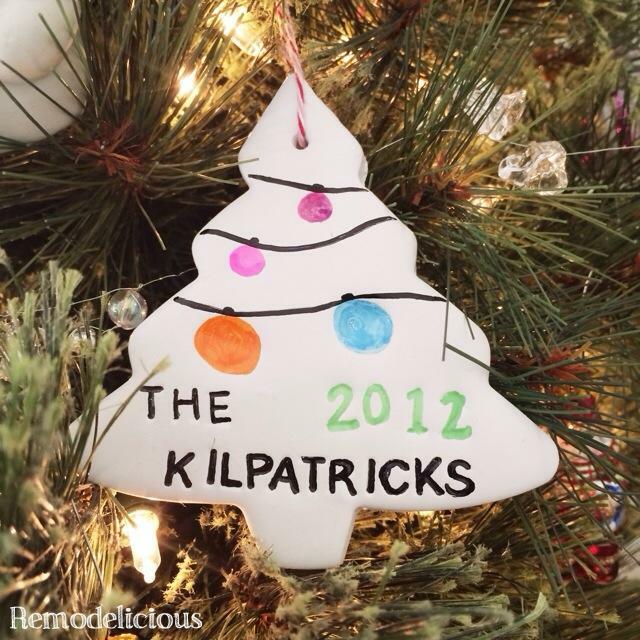 I don’t have a photo of our 2010 ornaments which where done with the embroidery machine on felt. I need to be sure to snap a photo next time we visit family on Christmas – we didn’t actually end up with one ourselves (whoops!). 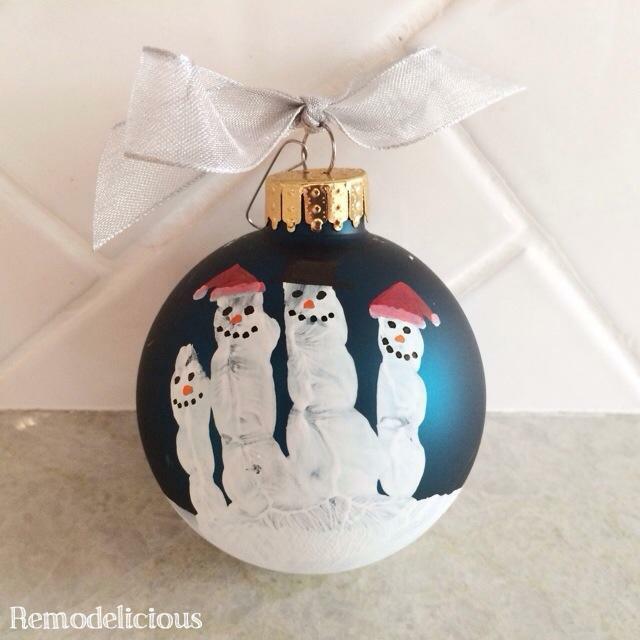 I’m so in love with simply family holiday projects like this and it’s so simple. I did this with my barely-3 and nearly-2 years olds by myself. We’ve found that with handcraft projects, it’s best to let one child do all of her prints before moving onto the next. It speeds things up (super important with the little ones) since it cuts way down on clean-up time (and those moments of “NO! Don’t touch ANYTHING!!!”. Don’t we make a cute little snow family?